Shanti (peace) dangle earrings with recycled glass bead. 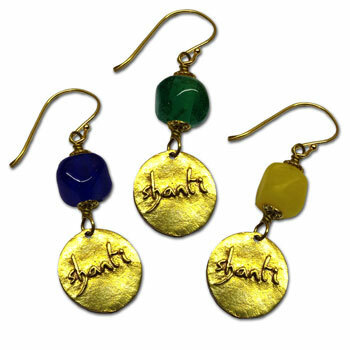 Choose from three colors: Marrakesh blue, ice green and sun yellow. Made of recycled brass and recycled glass. The earrings hooks are made of sterling silver plated with gold. 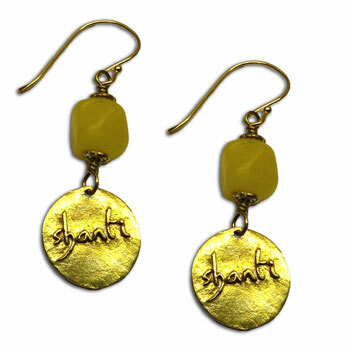 length excluding ear hook 1.25 inches / 3 cm, 9 g.